Justin Penn focuses his practice in litigation with particular emphasis on professional liability litigation, including consumer litigation and legal malpractice defense. 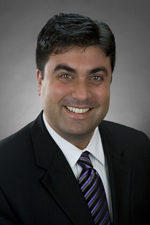 He has also been involved in labor and employment law in both litigation and arbitration practice. Justin is experienced in many aspects of trial practice, including consumer class action defense for claims under the Fair Debt Collection Practice Act (FDCPA). He has handled hundreds of consumer litigation matters under many statutes, including the FDCPA, the FCRA (and FACTA), the TCPA, TILA, state consumer fraud statutes and the False Claims Act. Justin has also handled a wide variety of legal malpractice matters, including cases involving an attorney's liability to non-clients. In addition, he has experience in complex litigation defending hospitals, corporations and religious organizations. Justin has defended cases in jurisdictions across the country. Justin joined Hinshaw & Culbertson LLP as a law clerk and became an associate in August 2004. He served as a summer associate with the Chicago law firm of Bollinger, Ruberry & Garvey. Justin was also a Judicial Extern for the Honorable Wayne Anderson, United States District Judge for the Northern District of Illinois. Prior to his legal career, Justin spent three years as a travel director for INTRAV, Inc. in St. Louis, Missouri. Additionally, he worked for NBC Sports in production support for live, televised sporting events around the world, including University of Notre Dame football, the French Open tennis championships and The Championships at Wimbledon. While at Notre Dame, Justin was on the Dean's List for six semesters. He was also a peer tutor and participated in the University's London Program. Frequent speaker on issues such as the 2010 amendments to the Illinois Rules of Professional Conduct, an attorney's liability to non-clients and the challenges of multi-jurisdictional practice. Terrence McAvoy and Justin Penn Co-Author IICLE Article on "Attorney Liability to Adversaries and Other Third Parties"